In the past couple years, I’ve heard about a new style of historical fiction stories. The authors weave an historical fiction story and a contemporary fiction story and put them in the same book, and there’s something that connects the historical with the contemporary. The Writing Desk by Rachel Hauck is one of those stories and it is the first story like it that I have read. The historical story follows the life of a young woman named, Birdie, who is from a prominent American family during the Gilded Age. She is a free-thinking independent woman, but her parents try to force her to marry a man she doesn’t love, so that the two will be even more wealthy, and put Birdie at the height of society. Her mother is much more adamant about it than her father. However, Birdie wants to marry for love, and she wants to write stories. The contemporary story follows the life of a young woman who wrote a book in the midst of her grief over the death of her father, and it quickly becomes a New York Times Bestseller. 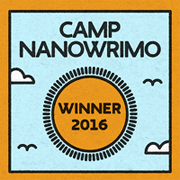 Therefore, Tenley is pressured to write another one, but she is paralyzed by writer’s block and struggles with her emotions and who she really is. Then her mother, who deserted her twenty years ago, calls and announces she has cancer and needs Tenley to come to Florida to take care of her. However, the man Tenley has been involved with gives her an engagement ring and asks her to marry him, and he invites her to go to Paris to write. The lives of both women are so different, yet they are connected by several threads. I found this book impossible to put down. Last night I stayed up an hour and a half later than I usually do because I just had to finish it. I always say that a book that can make me laugh and cry is on my list of “best books”, and this one struck both of those chords within me, and there was one tremendous surprise twist in the story that I never suspected that made me laugh and cry tears of joy! Because I, too, am a writer, I could relate to both the women in this story, and I continually cheered them on throughout the book. The other characters also evoked strong thoughts and/or emotions within me and I either, cheered for them or wished for them to go away. Not only was this an incredible pair of stories woven together, it was also an incredible story of loss, hurt, guilt, pain, hope, healing, and love. Birdie, Eli, Tenley, Jonas, and even Alfonse, Rose, Blanche, and Holt will live on in my memory and heart for a long time to come. This book has endeared itself to me. It is the kind of book I LOVE to talk about with friends who have also read it, and it is a book I will highly recommend to anyone who loves a wonderfully, skillfully told story that includes all of the things I’ve listed above. 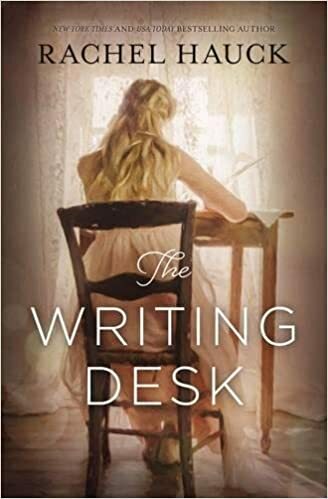 The Writing Desk by Rachel Hauck gets five stars from me. I also have to say it is the first and only book that I have ever read by Rachel Hauck, but I will definitely be looking for more. An elderly lady sat upon a park bench on a sunny afternoon. She was watching the children playing, when she realized someone had sat down next to her. She turned to see a tall, thin, young man dressed in tattered jeans, a black t-shirt and black leather jacket. She looked him up and down and found him also wearing black leather army boots. In one hand, he was holding a lit cigarette, in the other, a bottle of beer. His bleached blond hair was cut in a mohawk style and spiked high. He had an earring in his nose. He saw the look of fear flash over her face to be quickly replaced by uncertainty. He smiled at her. She smiled and stood up to go. He stood and offered her his arm. She took it and they began to walk slowly.